Acting Academy for Kids is a performing arts program that offers classes, workshops and camps devoted to the education, skills, and resources needed to train the next generation of talented performers. Programs are available for ages 4-17. The Arroyo Trabuco Golf Club is a public-access daily fee facility featuring an 18-hole championship-length golf course designed by PGA Tour professional Tom Lehman and well-respected local golf course architect, Casey Oâ„¢Callaghan. Set amidst Trabuco Creek and The Reserve at Rancho Mission Viejo, the 240-acre Arroyo Trabuco Golf Club provides an unforgettable golf experience on par with South Orange County's finest high-end clubs. A trampoline park with just trampolines? Not at Big Air Laguna Hills. Make memories like never before with our unique attractions including BattlebeamÂ®, The Wall, and The Laser Maze at Big AirÂ� the first trampoline laser maze on the West Coast. We pride ourselves in our craft and attention to detail. Our guests come here for our award-winning handcrafted beer. They come here for the Southern California twist we've put on the Chicago-style pizza. And they come here for our Pizookies, our world-renowned dessert. Simply Fresh since 1982! From Healthy to hearty options, know your food is made Fresh with quality ingredients! With more than 250 menu items and more than 50 signature cheesecakes and desserts, there is truly Something for everyone at The Cheesecake Factory. Since 1995, Ciao Pasta has introduced the famous flavors of Southern Italy's Puglia Region to San Juan Capistrano. Welcome to CircusTrix - The Ultimate Extreme Air Experience! Over 25 years ago, Curves changed women's fitness by delivering studio fitness without the premium price. While the workouts are only 30 minutes, you feel the benefits long after. Unlike traditional gyms, a Curves membership gives you the tools and support you need to reach your goals and set the stage for a healthier, more active future. As one of the nations oldest and most highly acclaimed juried fine art shows, the Laguna Beach Festival of Arts has offered a breathtaking showcase for artists and art lovers for 85 years. 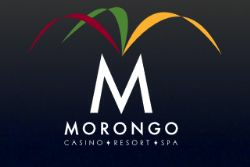 We are Orange County's #1 destination for family fun. We specialize in birthday parties, fundraisers, group events, skating classes, and much more. Roll in and see how we've been creating memories in the community for over 40 years. At In-N-Out Burger, quality is everything. That's why in a world where food is often over-processed, prepackaged and frozen, In-N-Out makes everything the old fashioned way. If you're looking for thrills and excitement, you're in the right place! At K1 Speed Irvine, the public can enjoy indoor go-kart racing on not one, but two professionally designed tracks. Our Irvine karting location is one of our largest and is a fantastic place to spend a Friday evening with friends or Sunday afternoon with family. Los Alamitos Race Course is a horse racing track in Cypress, California. The track hosts both thoroughbred and quarter horse racing. 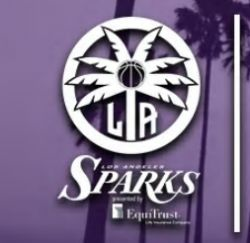 LOS ANGELES, The Los Angeles Sparks are excited to announce the 2019 Theme Night schedule, starting with the Home Opener on May 31 against the Connecticut Sun and including 13 special nights. Fans are encouraged to get their tickets early for the fifth annual #WeAreWomen game, which will take place on Aug. 25 against Connecticut. The Lyon Air Museum exhibit is comprised of authentic aircraft, rare vehicles and related memorabilia, with emphasis on the defining event of the 20th century World War II. Located on the world famous Santa Monica Pier, Pacific ParkÂ® is the family place to play! It's the West Coasts only amusement park located on a pier. Millions of visitors each year enjoy all the rides, games and fun you'd expect from one of Southern California's Leading attractions. 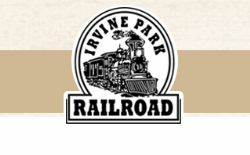 Pacific ParkÂ® has it allÂ¦ a dozen rides, midway games, ocean front specialty food outlets and seaside shopping. Pacific Symphony inspires, engages and serves Orange County and the region through exceptional music performances, and education and community programming. Your life is worth printing. MAKE A PHOTO BOOK Creative freedom to make a photo book just the way you want it. Every day at Planes of Fame Air Museum, you can experience history - both the reliving of it and the making of it. When one of our planes flies, for most it is a rare and wonderful thing to witness. Planes of Fame Air Museum has maintained a fleet of flyable historic aircraft for over 60 years! The Museum has operated these types of aircraft longer than the Army Air Corps or Air Force did. Planes of Fame Air Museum truly is where aviation history lives. Join us on a fun and truly memorable small-group wine tour of the Napa Valley or Sonoma wine country. Youâ€™ll visit four charming, backroads wineries, picnic at a winery, hear stories and learn tidbits of local history, culture and wine making. Our tours are sure to entertain with a very approachable and easy-going style. Discover and savor new experiences while tasting some of the worldâ€™s most celebrated wines. After years of hard work, trial and error, and tenacity, Sparky was able to develop a sandal that looked good, felt great, and didn't wear out. Sparky spent years selling this sandal and after a while the word about RainbowÂ® Sandals started to catch on. In 2000 RainbowÂ® Sandals started to experience a faster-than-ever growth in sales. In 2002, RainbowÂ® Sandals had to open a corporate facility on 900 Calle Negocio in order to keep up with business. Today, RainbowÂ® Sandals makes 2,000,000 pairs of sandals. Rancho Capistrano Winery is Orange County's Largest Winery. 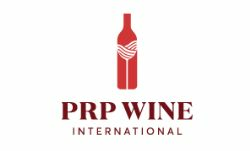 We have created over 40 different wines from some of the finest grape growing regions in the world. In addition to all those great wines, we have built San Juan Capistrano's best restaurant. We are known for generous portions and a flavor forward profile that blends perfectly with our wines. Located in beautiful downtown San Juan Capistrano, just a few short steps from the historic Mission of San Juan! Our restaurant has a covered patio, banquet room, and a comfortable and well-stocked bar! Come enjoy San Juan Capistrano! Stew's Barbershops was started in Aurora Illinois in 1983 by James Stew Stewart. Stew got his nick name from his high school friends and it stuck. While still in high school, barbering was offered as a elective class, and always looking for a reason to get out of school he took it. After graduating high school and barber school a few months later, Stew began his barbering career. After a few years of working for other people, he decided to strike out on his own. His main goal was to create a barber shop. A word from Tannins Restaurant & Wine Bar, Tannins offers a blend of old world cafe with a modern flair. A vast range of both Northern, Mediterranean and Southern Italian cuisine, along with delectable desserts and specials prepared fresh daily. Sustainable Gardening With Plastic Containers! A lot of people who buy Vegepods ask about the polypropylene plastic used in the garden cover and container. Why is plastic necessary? Wouldn't it be more sustainable to use or timber or even corrugated iron frame? We do get some flack for our plastic pods but in our opinion, it's actually much more sustainable long-term to assemble a raised garden. Victory Chiropractic has earned a reputation for helping its patients achieve dramatic recovery from spine and sports related injuries, chronic pain, headaches, allergies & asthma, arthritis, chronic fatigue, anxiety, depression, and a wide variety of other health issues. Our Award-Winning Restaurants feature â€œThe Food That Makes America Great!- a menu of high-quality, savory signature dishes such as: Premium American Babyback Pork Ribs, Certified Angus BeefÂ® steaks and burgers, USDA Choice tri-tip roasts (our top-selling entree), fresh fish, chicken, and a nationally-recognized Kids' Menu. Wood Ranch also offers a broad selection of innovative, healthy, and beautifully presented salads, appetizers, and homemade desserts, as well as full bar service.